Our square invite box comes with a gloss white finish. This is a flat packed box that you fold up yourself, it is not rigid. It measures 150mm x 150mm x 20mm (2 piece box) The box is supplied flat packed, we provide folding instructions for your convenience. 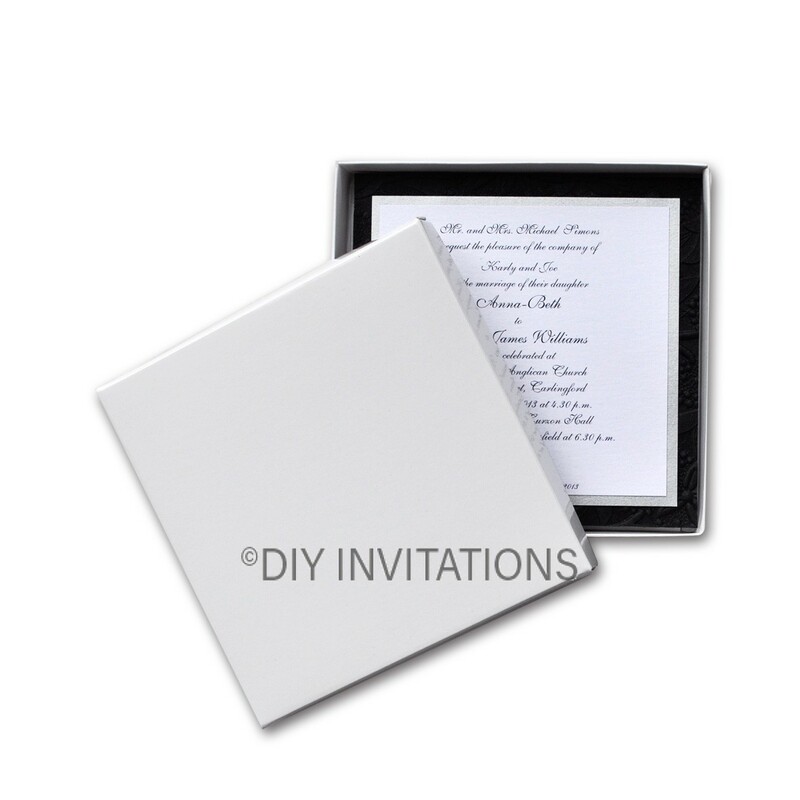 Our boxes are sold in packs of 10.Our square invite box comes with a gloss white finish.